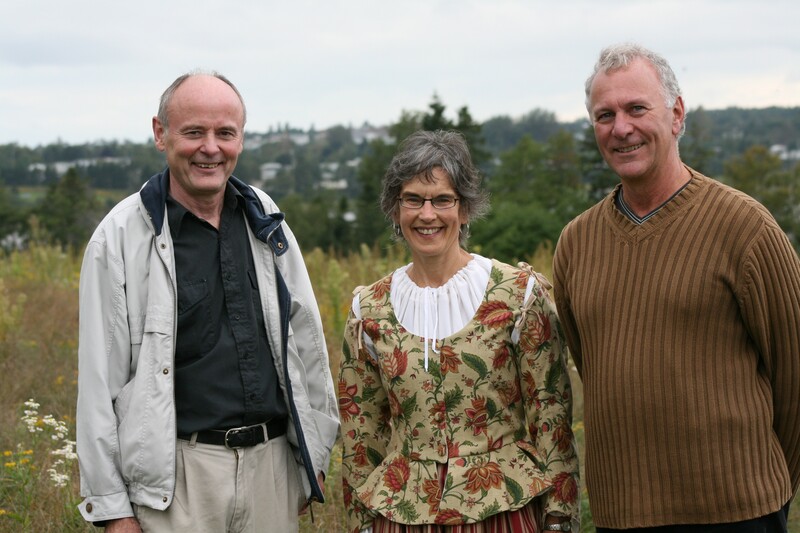 « Commemoration of Acadians at Upton Farm Sept. 14 at 3 p.m.
On Sept. 14, historians Dr. Doug Sobey and Georges Arsenault intrigued an audience of over 50 interested listeners with the history of Acadian settlers on the Upton Farmlands. 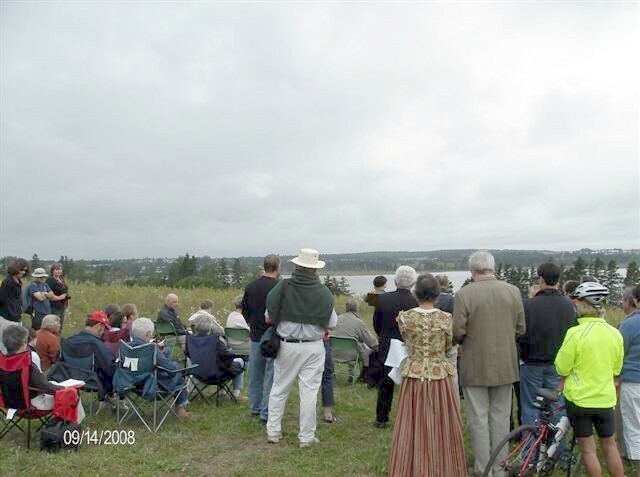 Dog walkers, passersby, Acadian history buffs, as well as Charlottetown MP Shawn Murphy and PC candidate Tom Deblois listened to the presentation which took place on a hill overlooking the beautiful North River and the very location of the Acadian homesteads. This entry was posted on September 28, 2008 at 3:48 pm and is filed under Pictures, Raising Awareness. You can follow any responses to this entry through the RSS 2.0 feed. You can leave a response, or trackback from your own site. The service by Dr. Doug Sobey and Georges Arsenault was very informative. Now the news is the industrial park is still planning to expand and use most of the land for industrial use. What a horrible idea.